LEGO enthusiasts around the world have been hosting conventions for a long time to allow LEGO builders to show their latest creations to one another, and to put on public exhibitions for LEGO fans to see these impressive LEGO creations. Seattle is the home of Boeing, Microsoft and Amazon, so it is no surprise that there is a huge fanbase of grown-up geeks who can spend a lot of time (and money) building some of the most impressive LEGO models in the world. Seattle’s local “LEGO Users Group” is SEALUG, and many of the same people helped create the BrickCon convention. 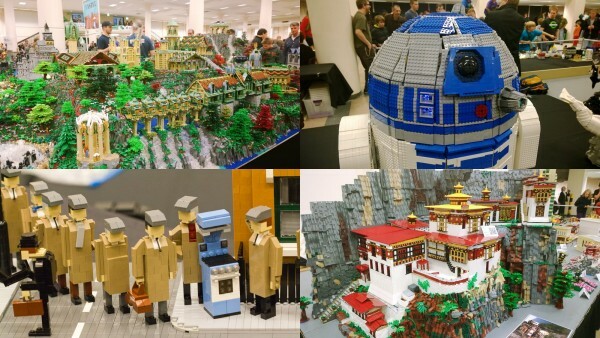 The BrickCon 2014 Exhibition is October 4-5, and you should attend if you can. Brickcon started in 2001, so this will be it’s 13th year. It has grown into a huge LEGO convention; the public exhibition is two days long and completely fills the Seattle Center Exhibition Hall with LEGO models and a few vendors selling LEGO sets, bricks and LEGO-related merchandise. I have attended the public exhibition several times. It has taken the LEGO company a while to decide how to react to these massive conventions, especially since they cannot control what LEGO artists might build with their bricks. LEGO has generally avoided modern warfare, extreme violence, and adult themes, but creative adult fans of LEGO (AFOL’s) explore all of these themes, especially Military models such as tanks. In recent years, they have taken to embracing the enthusiasm of their fans – they will even send LEGO model designers to conventions like BrickCon to announce new products. Last year they unveiled the gorgeous Parisian Restaurant at BrickCon. Lots of modern military tanks, trucks and battle scenes. This year will be my first time participating in the private convention for Adult LEGO fans. It takes place during the day on Friday, as well as Saturday evening. I’m not entirely sure what to expect, although I already know there will be a variety of games and contests such as speed building using the instructions, or Box Builds where you build the model using only the photo on the front of the box. I expect that I will be able to offer some insight into the fun activities during the convention in a subsequent post. There was a long scene in the recent Beyond the Brick documentary from last year’s BrickCon convention. You will see a huge range of models at BrickCon such as these models from past years: Rivendell (Alice Finch), a Full-scale R2D2 (Shawn Steele), Tiger's Nest Monastery (Anu Pehrson), and Monty Python. This year is also going to be my first time displaying LEGO models that I’ve designed at a convention. I have a couple small models that I’m planning to display, as well as the final version of my model of the Geisel Library. I’m not quite done with some finishing details, but decided to include a teaser photo anyways. 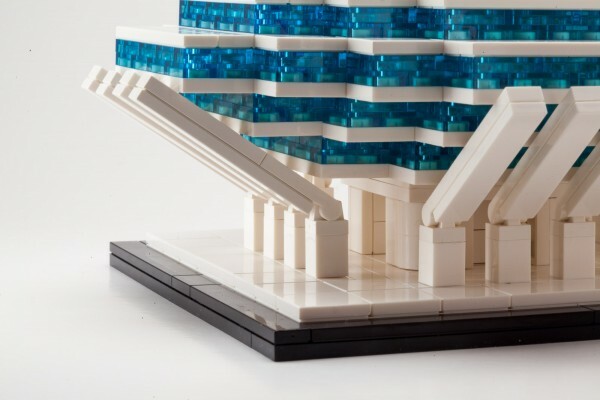 A teaser of my model of the Geisel Library which I hope to show at BrickCon 2014. You can buy tickets for the Public Exhibition online at http://brickcon.org or at the door. See you October 4/5! Planning to attend BrickCon this year? Leave a comment to let me know you are coming!